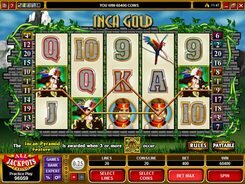 Inca Gold is a great example of how a 5-reel slot machine released many years ago still remains a fan favorite. 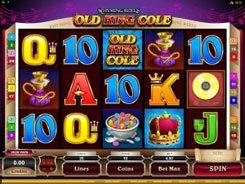 Powered by Microgaming, this 20-payline slot has old-school graphics and a set of basic features like wilds, scatters and free spins. 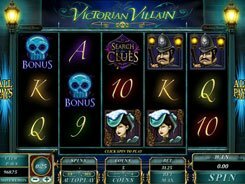 Having versatile betting options, Inca Gold enables you to make a bet ranging in size from $0.01 to $100 per spin. 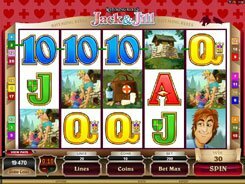 On the reels, you will see Inca-themed icons (an Incan woman, a tomb, an amulet), and common playing card values from 9 through aces. The second-largest loot of 1500 coins is granted for the Incan Woman symbol, once these 5 appear on an active payline. 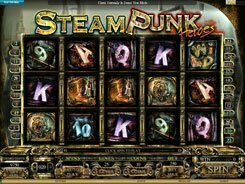 The Priest acting as a wild substitutes for other symbols and pays out the grand prize worth 10,000 coins, which translates into an impressive $50,000. Ultimately, the slot has a scatter, and these three (or more) activate the Incan Pyramid feature. 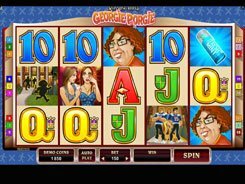 On the second screen, you will have to climb to the top of the pyramid by selecting stones that reveal extra cash prizes, extra FS’s and more multipliers. Whatever the case, you are guaranteed to grab five FS’s at a x2 multiplier at least during the bonus feature. PLAY FOR REAL MONEY!